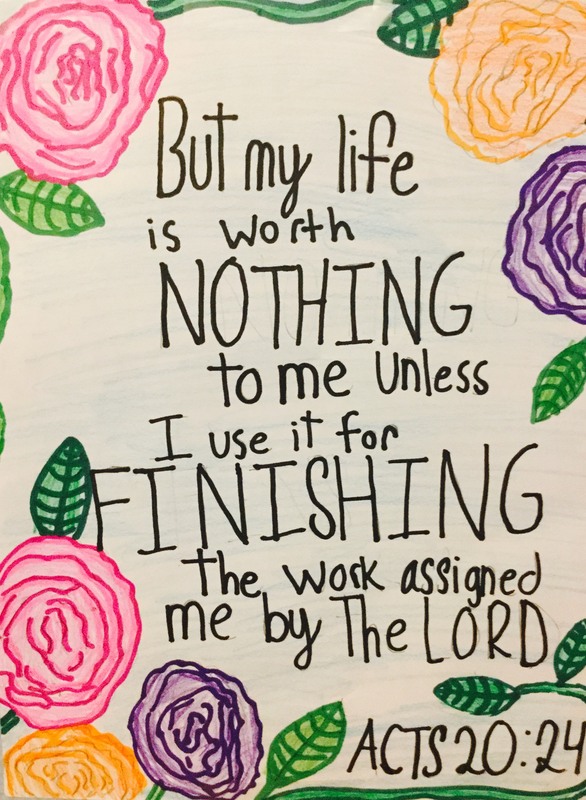 But my life is worth nothing to me unless I use it for finishing the work assigned me by the Lord Jesus-the work of telling others the Good News about the wonderful grace of God. "And this is my covenant with them," says the LORD. "My Spirit will not leave them, and neither will these words I have given you. They will be on your lips and on the lips of your children and your children’s children forever. I, the LORD, have spoken! But once you receive a commission from Jesus Christ, the memory of what God asks of you will always be there to prod you on to do His will. You will no longer be able to work for Him on the basis of common sense.